Visiting a new church can be intimidating. When you visit the Fayetteville Church of Christ, you will never be asked to stand up, introduce yourself, or do any other activity that makes you feel uncomfortable. We’d just love to have you visit and study with us. 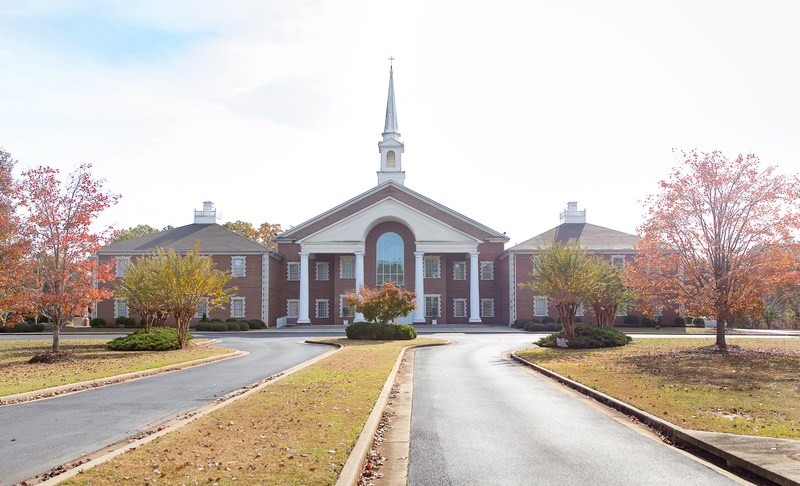 We want you to feel comfortable when you visit us for worship services, so here is a brief summary of what you can expect from a typical service at the Fayetteville Church of Christ. Preaching: We will enjoy a Bible lesson that lasts about 30 minutes (Acts 2:42; Romans 10:14). On most Sundays, Dave Rogers, our preaching minister, presents these lessons, though occasionally a guest speaker will guide our thoughts. Each lesson will take a Bible passage and explain what it means and how it applies to our lives. Our Wednesday evening service begins at 7:00pm with everyone meeting in the auditorium for about 15 minutes. We will sing one song, followed by a brief devotional that lasts about 5 minutes. We will sing another song and then share announcements to the church, which includes upcoming events and prayer requests for various needs. After a prayer, we will take a short break in which everyone will go to one of many classes being offered. The children will be taught in age-appropriate classes by teachers who have a prepared an exciting Bible lesson. Adult classes will also be provided. You can expect us to have a wholesome respect for the inspired word of God, the sole and complete authority. Because the Fayetteville Church of Christ accepts the Word of God as the all-sufficient rule of faith and practice, we reject all human creeds (Galatians 1:8-9; Revelation 22:18-19).